Welcome to Urban Swaras Running Club. We are based in Nairobi, and started running as a group in 2006 before getting formally registered in 2010. 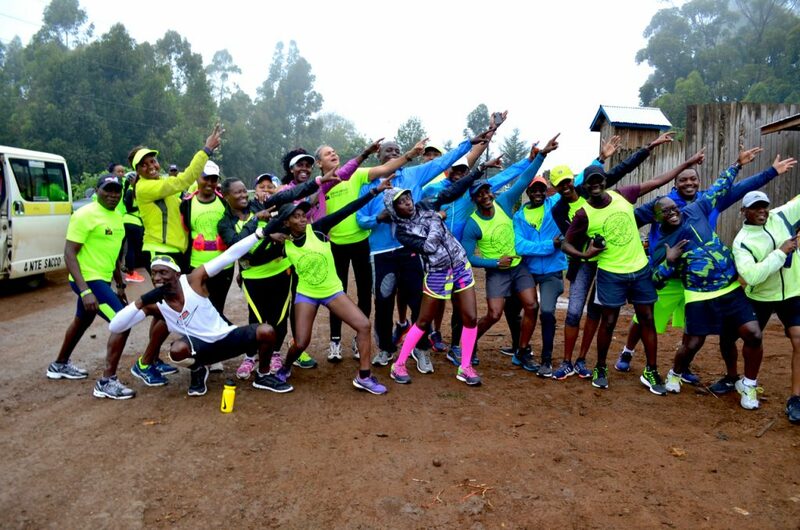 We organise weekly Saturday runs mostly in and around Nairobi, as well as out of town runs at scenic locations all over Kenya. Our goal is to promote recreational running in Kenya, and provide a home for runners of all calibres looking for good running company and a variety of interesting running trails. Our club caters to all runners from beginners wishing to get fit through running, to semi-elite runners looking to improve their running times. Members are encouraged to participate in races in the region, with the club regularly entering teams into events, for example Lewa Marathon, Nairobi Marathon, Mwea Classic Marathon, Naivasha Relay and Kilimanjaro Marathon. Some members have gone on to participate in international events such as Two Oceans Ultra Marathon, Victoria Falls Marathon, Kampala Marathon, Kigali Marathon, Chicago Marathon, New York Marathon, Paris Marathon, Florence Marathon, Leadville 100 among others. The Club is governed by a constitution, and managed by a committee elected every two years. The club committee includes a Chairperson, Treasurer, Coordinator, Patron, and members of the Calendar, Routes and Events (CRE) Committee. The CRE Committee sets the club’s calendar on a biannual basis with upcoming races in mind when determining distances of each weekly run, and is assisted by volunteers from among the members in scouting for interesting running locations. The committee currently comprises the following members, elected into office in January 2018, and will remain in office for two years. If you’re interested in joining, or running with us as a guest, see our New Members page.